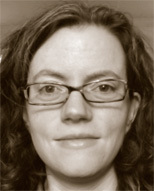 From 2008 to 2012, Billie Rinaldi was a leader of the National Security Agency computer science research team that implemented Apache Accumulo. Dr. Rinaldi co-designed one of Accumulo’s key technical advantages, a customizable server-side programming framework, as well as making numerous other contributions to the software. Since Accumulo became open source in fall 2011, she has worked to foster the community surrounding it. Dr. Rinaldi was elected the Project Management Committee Chair when Accumulo became a top-level Apache project and was subsequently invited to become a member of the Apache Software Foundation. Dr. Rinaldi is a Senior Member of Technical Staff at Hortonworks, Inc.